I wasn’t an angel of vengeance, or an angel of mercy, or even an angel of death. I was an angel of the Machine. I came to Earth wrapped in a Cover that the Machine provided, and I served. Service didn’t make me happy, but it made me what I was. An angel. But then I stopped serving. Why? It’s complicated. You were involved. That’s all I’ll say for now. I stopped serving, and when I did, I Fell. And what does that make me? 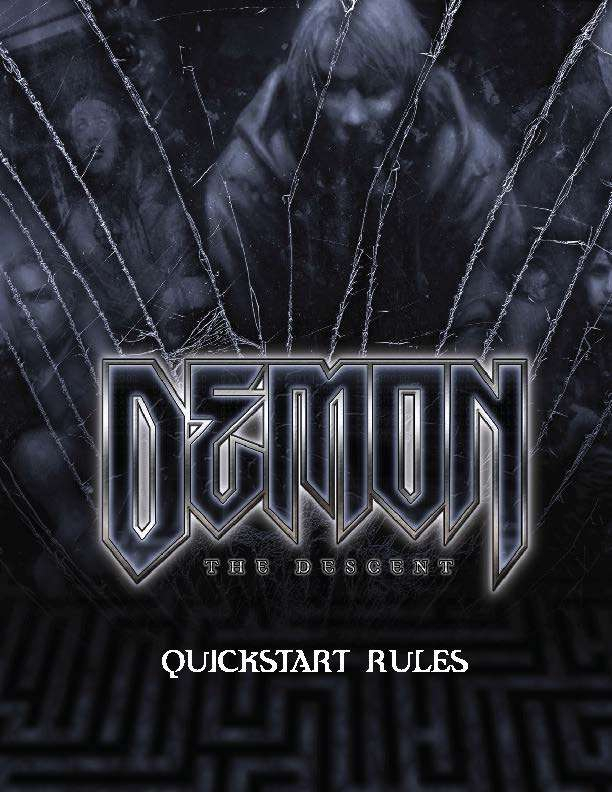 This Quickstart contains all you need to experience a one session game of Demon: The Descent, including a primer on the World of Darkness rules, four characters ready to pick up and play, and a complete scenario, Honey and Vinegar.